Many commenters asked me if it is possible for another person to renew their PRC license. This question was asked by professionals who are busy in their jobs or those who work outside of the Philippines (Overseas Filipino Workers or OFWs). The answer to that question is a big “YES”! 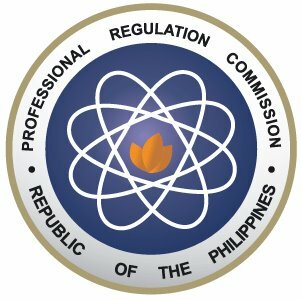 The Professional Regulation Commission (PRC) allows professionals to send their representatives in submitting the renewal of professional license. Professionals who wish to this must issue an authorization letter or a Special Power of Attorney for their representatives. The application form for PRC renewal also has a slip, which should be signed by the authorized representative. The form can be downloaded here. The slip for signature of your representative can be found on the second page of the application form. Just print the form and then write the required information. Your authorized representative should bring the authorization letter or the Special Power of Attorney and the signed application form when he/she go to the PRC. You authorized representative should also bring a government issued ID. It is good that the PRC allows professionals to have other people deal the renewal of their professional registration. Filipino professionals are usually busy with their works and projects that renewal of PRC ID becomes a big hassle. My understanding is there is a difference between an SPA and an authorization letter. If your representative is a licensed professional then authorization is enough as PRC will also ask for your representative's PRC id. On the otherhand, if your representative is not a licensed professional then you need to have a SPA. I believe if you're abroad, the SPA can be processed in the embassy where you live. Do you have any questions about application or renewal of PRC ID? Please don't be afraid to ask that question. Tell me your question by posting a comment. I want to renew my Professional ID coz its 7years expired already.I want to know how much it cost? I can't give you the fix value of the total cost for the renewal of your expired license because it is also dependent on your Professional Organization. Your PO might ask you to pay a certain amount for yearly dues and other penalties. This fees are not varies depending on the organization. my sister is out of the country and I have to renew her prc license this month. I was wondering if it can be renewed in SM, which is closer to our house, rather than go to PRC office in Manila. I already have her authorization letter in hand. Yes, you could renew her license at any PRC office in SM. Just make sure you had the other requirements. my mom took the licensure examination for embalmers last 2000, and her licensed expired last 2002, she haven't renewed it,, pwede pa po bang ma renew nya yan this 2013? I'm located in Canada right now and my license expired last 2012. May I know how to renew it? And if I'm going to have a representative to do it, may I know how? Coz I've been tryong to search it online but the website/link aren't working. Pwedeng-pwede po na mag-renew syan ngayong taon. Ang magiging problema n'ya lang siguro ay malaki ang babayaran niya dahil matagal nang delayed yung pare-renew niya. Please read the blog post again. I posted the procedure here. My Lolo is going to renew my PRC license for Nurses,itis going to july this July 2013, Im here in Dubai, it ok that the authorization letter is a hand written only? My husband is in the US and his prc id will expire sept. 2013,does he need to write an authorization letter,if me the wife is the representative?or is there other requiremets? It is better that your authorization letter is not hand-written but printed out. PRC staff might question the hand written authorization letter. You still need an authorization letter from your husband. hi, im working in uk and i need to process a couple of PRC documents. hence, I prepared a Special Power Of Attorney from the embassy with red ribbon. the Spa stated that my mum will be my representative to process any PRC document but when she went there on the first time, they took the original red ribbon and told her that they will just show her duplicate copy when she need to process my other documents. However, when she went there again, she was been told that one transaction per SPA. is this true? its quite hard and expensive to process spa and post legal document from uk to philippines.Please give me advice on how to deal with this. thanks. I have no experience regarding the use of SPA with red ribbon from the DFA. What I can say is that it is PRC that may have a problem with what happened. Are you trying to renew your license? Maybe an authorization letter will be acceptable to PRC. Try using an authorization letter before you get another SPA. Hi, I'm currently living here at North Vancouver, Canada and my PRC will about to expire this coming June and I'm already working with the requirements to be sent to my representative. But I recalled that I got it from PRC office at Lucena City. I'm just wondering, shall I get my representative to send it to PRC Lucena or can I get her to process it through PRC Manila (Main Office) instead??? I think we're planning to get it process in SM Mall in our place in the Philippines. Thank you. The processing of your license will be faster if you go to the PRC office where got your license. The reason is that your records will be at that PRC office. good day sir, my prc license will expire this month of june, is it ok that my representative is my friend?i already gave her my authorization letter.thank you. Pwedeng maging authorized representative yung kaibigan mo basta meron siyang authorization letter mula sa iyo. Sir, yung kapatid ko po kasi student pa pero legal age naman na po. Pwede po ba xa mag-renew ng license ko kahit na authorization letter lang at id ko ang ipapakita at wala ng SPA? Maraming salamat po sa pagsagot..
Can i send a scanned copy of my authorization letter? I think you can send a scanned copy of the authorization letter as long as the copy is clear. hi, I am currently working abroad and I have to renew my PRC license but the problem is that I have it with me, do I need to send it back to the Philippines together with my authorization letter and downloaded form? You don't need to send your current PRC ID. Old IDs are not surrendered to the PRC if your license is being renewed. I am based in the UAE and needed to renew my licenses. Since I will be needing my prof teacher's license soon, may I know how long it takes for the process to be completed? Also, I would like to change my civil engineer's license to my married name, will it be the same process as the regular renewal of license? It took the PRC a week to process my license. I think that it will be the same for you. ask ko lang po kung paano po yung picture s form?nplan ko po is fill up ko tapos iscan n lng, yung picture po ba need pa? And yeah, your friend should bring the authorization letter. Kailangan po talaga yung picture. Huwag mong i-scan at baka di tanggapin yan ng PRC. Mag-print ka picture mo then idikit mo na lang sa form. Hi, I would just like to ask a few questions. My mom is out of the country and has asked me to renew her nursing license for her, and I was wondering HOW I CAN GET A SPECIAL POWER OF ATTY? Does she have to make it there in the country she's in and send it to me? Or can I just have it made here, and send it to her for signing? Special Power of Attorney is just another name for Authorization Letter. You can make it here in the Philippines and send it to her for her signature. hello po! :) is it possible na mag renew ng prc license sa mga SM malls?mag eexpire na kasi prc ko at kailangan ko pa i.change yung surname ko sa surname ng asawa ko. my sister will be the one to process it since i am outside of the country.will that be possible? thank you. The answer is YES. Your sister can process the renewal of your PRC license at PRC offices in SM malls. It depends on how much your professional org will charge you. Their charge is on top of the fees being collected by PRC. hi! quick question po: does the authorization letter need to be notarized? or a signed, printed auth letter will do na? thank you. Walang nakasulat sa PRC form na kailangang notarized yung authorization letter. Ang mahalaga ay pirmado ng professional yung authorization letter at dala ng representative yung claim slip. Dapat may dala ring valid ID yung representative. Good day! Just want to ask if there is a Rush renewal to SM malls. I am going to renew my wife's license. And also what are the requirements? Thank you! I think that there's no rush processing at PRC satellite offices in SM Malls. PRC only requires photocopy of the old PRC ID. Pwedeng yun lang ang ipadala mu. Pero kung kaya mong ipadala yung orig IDmoay ipadala mo na rin. kelangan po ba notarized yong authorization letter? My brother is in abroad and I'll be the one to renew it. Do I need the original PRC ID. Or scanned PRC ID is ok? Thanks! gud pm sir..nandito po ako sa saudi arabia,nurse,kailangan q po e renew yong license q..pwede po ba yong sister q mgrenew sa prc? ok lng po ba ang authorization letter galing sa akin,prc id,picture ko,at valid id nya dalhin nya sa prc? ok lng po ba ang authorization letter ang dalhin nya kahit wlang SPA? Kaiangan bang e notarized ang authorization letter? Authorization letter was sent via email lang po as attachment, pwede na po kaya un? ipapaprint lang namin? tsaka pwede po kaya na scanned copy nung previous PRC id nia? kasi iaatach lang din daw po nia ung scanned copy ng id nia via email. Hi! Is scanned copy of PRC ID, authorization letter, and application form are good to submit to PRC for renewal? My sister will renew my nursing license this coming May. What about the passport size ID indicated to paste in the box in the application form, is it okay to scan also? Because I'm here abroad. Thank you. I think that the scanned copy of PRC ID will be accepted because it will serves as the required photocopy of your old PRC ID. You may also scan the authorization letter. The application form with scanned signature will also be accepted, I think. I suggest that your sister print the photo and then paste it on the application form. Sir, I want my mother to claim my professional ID card in PRC Iloilo because I'm currently working here in Cebu. I processed my registration in PRC Iloilo. I already provided her a Special Power of Attorney and a valid voter's ID. My problem is, my signature in my voter's ID is hindi masyadong mgkapareho sa signature ko sa SPA kasi highschool penmanship ko pa yung nasa voter's ID ko. But hindi ko pa yun iniba. The things that changed are ung penmanship, clarity, at stroke ng signature ko. Will PRC accept it? Thank you. I'm eagerly waiting for your reply..
You don't need to show any ID when you're renewing your license. What you need is the photocopy of your old PRC ID, your old PRC ID, 2 passport size photo with your name at the lower portion, money for payments and duly accomplished application form. So, you don't need to worry if your voter's ID has some problems. The one who should bring valid ID is your mother. my PRC License will be expire on October 24,2015 can i renew it early this year since i'm on vacation?. I'm a seaman and i want it to be renewed before going back on board. Mas mabuti po na sa PRC nyo na lang po tanungin yan. Tawagan n'yo na lang po sila. is it ok if my authorization letter will be in handwritten form? It is better if the authorization letter is printed from computer. Pano po kapag 16 years old palang yung representative sa pag renew ng license? Dapat po ay hindi menor de edad ang magg-represent sa inyo. Baka di tanggapin ng PRC. Thank you for all the information you posted. But, I'm just wondering if I can just type directly on the electronic form and paste my scanned signature and e-mail it to my sister (my representative). And, will it be alright if I'm going to use the same picture I submitted before since there's no change at all? Sa tingin ko ay OK naman yan. Subukan mo at baka tanggapin ng PRC. Hi sir. I would like to know if the authorization letter should be the original or is it ok if scanned copy? I am in Abu Dhabi and it would be too costly if i will send it with a courier. Can you please give me some advise. I am not sure if PRC will accept the scanned copy. I suggest that you try it first. Kung di talaga pwede ay ipadala mo na lang. clarification.. hi.. tanong ko lang po, expired na ang teachers licensed ng husband ko last 2006, at iparenew nia sana at ipa red ribbon kaya lang nag appear sa record na may legal case po daw? posible din po ba na mahits ang Prc license?? ano po dapat gawin.. tnx..
Posible po yan kung may kapangalan yung asawa ninyo. Ang dapat ninyong gawin ay pumunta kayo sa PRC para ipaalis yung hit dun sa record niya. Hello po ako po c mel ..Im out of the country.. tanong ko lng kung ano mas maganda ung authorization letter or special power of attorney ipakita sa p.r.c or kahit ano sa dalawa pede kase nacoconfuse lng po ako.. tsaka I need to change my status ok lng ba ung marriage certificate ko dto sa ibang bansa gamitin kase hnd ko pa napapalitan status ko jan sa pinas ehh.. dto kase ako kinasal thanks po..
Parehas lang yung special power of attorney at authorization letter. Mas legal lang pakinggan yung SPA. Hindi ko alam yung procedure kubf sa labas nagpakasal. Baka kailangan pang i-authenticate yan sa DFA or sa NSO? Hindi ko alam kaya ang payo ko ay tanungin po ninyo iyan sa PRC. Your cousin must bring the filled-up form mentioned in this post, an authorization letter, a photocopy of your old PRC ID, and 2 passport size photos. Your cousin should also bring a valid ID. Hi, I am currently located here in Vancouver, Canada. Kailangan ko po irenew din License ko and need to request for certificate of conduct. Can anyone help me how to do both maybe at the same time if possible. Para less gastos and to save more time as well. Need to hear from anyone badly. Thanks and all the best sa lahat! Are you a nurse in Canada? If yes then I cannot answer your query. I suggest that you direct your question to your professional association. I suggest that you contact the Teacher's Association regarding your concern. is it possible to send a representative to have my maiden name changed to my married name in my prc license? Yes. You can send a representative for chnaging your name in the PRC ID. Hi! Magrerenew po ako ng license ng husband ko, paano po ung signature sa may form? Pwede po ba na ifill up nya ung downloaded form with his signature at scan na lang nya para masend nya sakin thru email? Ang gusto ng PRc ay original ng form na may original na pirma. Kaya hindi ko sigurado kung tatanggapin yung scanned copy. Subukan mo siguro at baka makalusot sa PRC. Actually, ngayon ko lang na-encounter itong bagong procedure ng PRC. Kailangan na pala ng red ribbon? Ang alam ko lang na naglalagay ng red ribbon sa document ay ang DFA. Di ko lang alam kung saang ahensya ka dapat magpa-red ribbon. Good day! I am a registered nurse, and i lost my PRC ID. it so happened that I am about to renew it. Do i need to have an affidavit of lost or can I just bring with me xerox copy (back and forth) of my PRC-ID? My last renewal was in PRC-Baguio, can i have it renewed here in PRC-Manila or in any PRC centers? Do I incur additional fee for the said lost? Thank you, and more power! Hi! PRC didn't ask about my old PRC license when I renewed it. So I think the photocopy of your old ID is enough. I think you can apply for PRC license renewal in Manila. May naka try na po ba na mag renew ng prc id when you live abroad and submit a spa with the red ribbon of the embassy? Address abroad pa rin po ba ang gagamiting address sa renewal form? I will place your update in the blog. As for your question. Hindi ko iyan masasagot dahil wala akong ideya. Pasensya na po. Hi, Im currently here in Saudi working as a Nurse. Need q po kumuha ng Board Certificate at ipa red ribbon both with my PRC I.D. Ask lng po sna ako if need pa po ba ipresent ng authorized representative ung original prc id q upon request ng Board Certification (look like Diploma)? Andito po kse sakin ung I.D. ko and ok lng po ba khit authorization letter thru email lng na ipi print nla ipakita instead of SPA? Ask ko lng po sna kung hhanapin po ba ng PRC ung Oroginal I.D. ang Certificates like Board Rating, Good standing and Cert of Passong if magre requeat ng Board Certificate ( look like Diploma) den need po ipa red ribbon? Andto po kse skin ung mga original, working in abroad..
Sa palagay ko ay hindi na kailangan yung original PRC ID mo. Padalhan mo na lang sya ng scanned copy ng ID na pwede nya i-print dito sa Pilipinas. Try mo na lang din kung tatanggapin ng PRC ang authorization letter. Sa tingin ko ay mas maganda na may dala yung papupuntahin mo ng SPA or authorization letter. Good day sir, tanong ko lang po mg eexpired na yung professional license this coming december tapos nandito pa aq sa saudi arabia naisip ko po kung pwde h renewed ko nlang yung license pg nkauwi na ako mgkakaroon po ba ng problima kpag hndi ko na renewed yung license ko sa date ng expiration ano po yung mngyayari kung hindi ko na renewed yung licensed kaagad before the expiration. Hi po my tanong po aq ano po yung mngyayari sa license ko kung hindi ko na renewed kaagad bfore the expiration date. Pleasant Day! Kailangan po bang naka red ribbon pa ang SPA? Thank you po! Yung red ribbon is sa DFA di ba? I think hindi na kailangan yun. Paano din kaya kung nasa abroad ako and i have to renew and change name/status by a representative pero iniisip ko kung pwede ba magchange status sa mga sm business centers kasi pinakamalapit..o sa main ng PRC lang ang change status? And also first name+maiden/unmarried last name+married name ba sa passport size photo with name tag? I think that PRC satellite offices at SM Malls don't entertain change of surname. They just do renewal of license. It would be good if you go to PRC office directly. As for the photo, I suggest that you place the name that you wanted to use in your license. I think OK na yang Authorization Letter na gamitin ng kapatid mo since of legal age naman siya. hello po sir may tanung po ako pwede po ba authorize person lng ung mag process for change status. Mag pa renew din po kasi ako ng license pwde po isabay? wala po kasi ako sa Pilipinas kaya e authorize ko nalang yung pinsan ko. Tapos nag register po ako online di po ma verify kasi gamit ko yung married name ko. Sabi daw po kasi accommodate lang nila yung nag register online. Anu po pwede gawin? Ok lang po na punta nalang ung pinsan ko tapos dun na e process lahat? Sa tingin ko ay OK lang kung yung pinsan mo ang maging authorized representative mo. You should give him an authorization letter. Applicable po yung authorization letter para sa change of status at renewal ng PRC license.